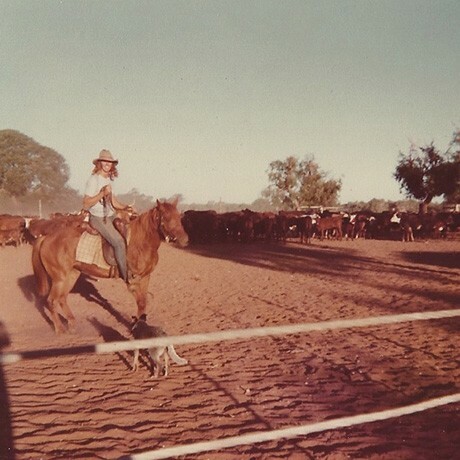 After managing Thangoo Station for 6 years, in 1966 Mr Alfred Grey purchased the half a million acre property from Frank and Eileen Hamlett, and along with his wife Maria and their 10 children they built a striving cattle business. Alf was a keen inventor and entrepreneur and he used these skills to diversify the station over the years to cope with fluctuating cattle prices and the tough Kimberley conditions. In 1986 he gave a small part of land encompassing the landmark Barn Hill to his second youngest daughter Janice. Janice along with her husband Richard Bell, went on to start a small tourist enterprise, building the original three mud chalets. Word of mouth spread and Barn Hill quickly grew to the buzzing hub of campers that it is today, embarking on a Kimberley quest, or escaping from the cold Perth winter for months at a time. Barn Hill Beachside Station Stay now sees thousands of happy campers visit annually, and we still strive to keep our casual family atmosphere, as it is the rustic charm of Barn Hill which makes it so unique and special. National Geographic January 1991. 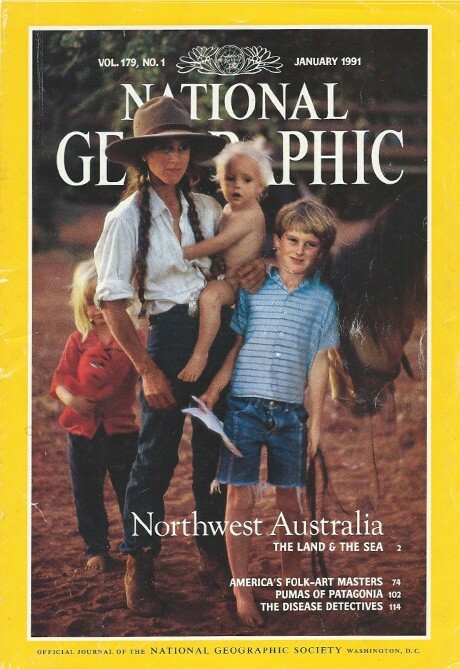 Pictured: Janice Bell with children Tom, Bryden and Jack.